Google had a plethora of important updates in 2018. In order to generate online marketing success in 2019, every marketer should be aware them. So let’s dig into a few, shall we? The new GSC is now promising to provide 12-16 months worth of historical data, as opposed to the 90 days available prior to the update. Since the beginning of last year, users are able to monitor impressions and see any significant shift across device/position occurred in the search results. In 2018, Google rebranded Google AdWords as Google Ads; combining all its other advertising products into their Ad Manager and Marketing Platform. This is not only a rebranding maneuver, but Google also intends to use the consolidation to help SMBs advertise across all PPC channels, and provide larger enterprises the ability to take advantage of intelligence technologies and advanced forecasting. DoubleClick and Google Analytics 360 suite becomes Google Marketing Platform. There are now two types of ads features within Google Marketing Platform - Display and Video 360 and search Ads 360 - which will be integrated with analytic features such as Analytics 360, Data Studio, Optimize 360, Surveys 360 and Tag Manager 360. In case you’ve been away from paid ads for a while, note that “DoubleClick for Publishers” and “DoubleClick Ad Exchange” have now been combined. The new unified programmatic platform is now called Google Ad Manager. All features from both of the previous tools will now be available in Google Ads Manager. The main purpose for this change was to provide users with one complete ad platform. If you're now starting off, or if you have little experience working with ads on Google, this update is ideal for you. 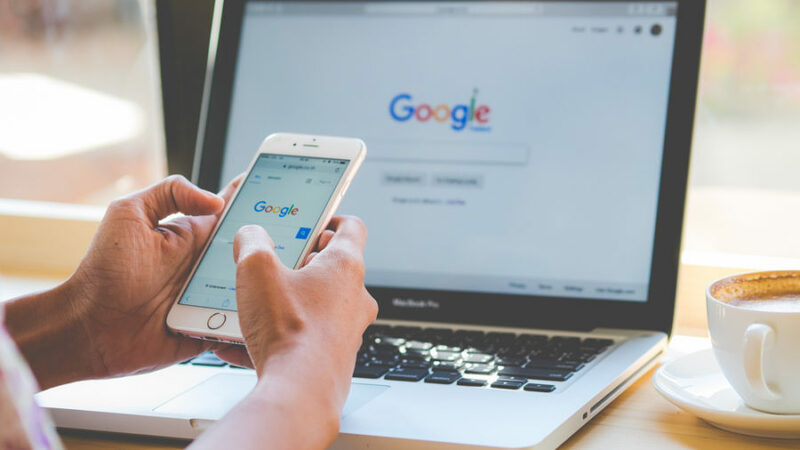 All you need to do is provide Google with 15 headlines and 4 descriptions, and their AI takes over from there by mixing and matching combinations to find the best ads for customers. This process is powered by machine learning and focuses on getting your ads in front of a relevant audience in the best possible way. While you do hand over control to Google’s AI and algorithm, you can potentially get some more positions on SERPs. If this is something that interests you, you can find out more here. As you might already know, load time can significantly impact SEO. With this new update to landing page speed score, you can keep better track of load times, and make any needed adjustments. This is a new column found in the "landing pages" page. This is perhaps one of the biggest and most useful updates for Google in 2018 as it monitors and combines visitor data across devices used. In essence, the update will provide marketers a more holistic view of visitor behavior, including how they spend time on your site, how they got there, which device they were using, etc. This means that marketers can now construct a more holistic customer experience by acquiring more insight into behavior and consumption trends than ever before. More specifically, you will now be able to more precisely optimize your campaigns for better customer targeting, device usage, and buyer journey. One note to remember is that the data being displayed is only aggregated from users that agree to share it. If you are an SMB that strives to drive more conversions both online and offline, then this is an update you'll want to pay close attention to. These new Smart Campaigns utilize machine learning to create automated ads aimed at creating quick and simple campaigns. For more information click here. 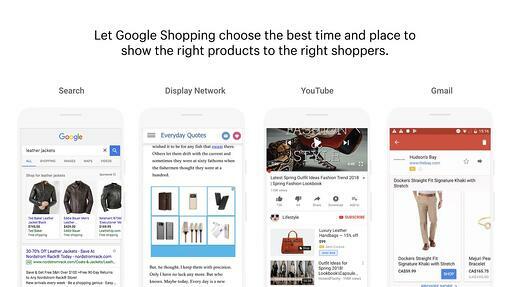 According to Google, “Smart Shopping Campaigns” combines standard Shopping with display remarketing campaigns, and uses automated bidding and ad placement to promote your products and business across networks. One interesting feature of Smart Shopping Campaigns is its ability to integrate with Shopify, allowing online retailers to manage Ads via their Shopify dashboard. If you would like to learn more about this campaign subtype be sure to check out the official post by Google here. This is a truly great way to ascribe online advertising with offline visits to better understand what ads drove in-store visits. While this technology is not necessarily new (being previously available to larger brick-and-mortar stores,) it’s now becoming increasingly accessible to businesses of all sizes. More news on this will follow soon. As of October 30th, 2018, this update will be a necessity for all Google Ads accounts. The main focus of Parallel Tracking is to create a better user experience and increase the potential for conversions by reducing the budget spent on bounced links. Basically, Parallel Tracking works as such; when a user clicks on an ad, web browsers will start processing click measurement requests in the background, ultimately allowing visitors to reach site destinations faster. 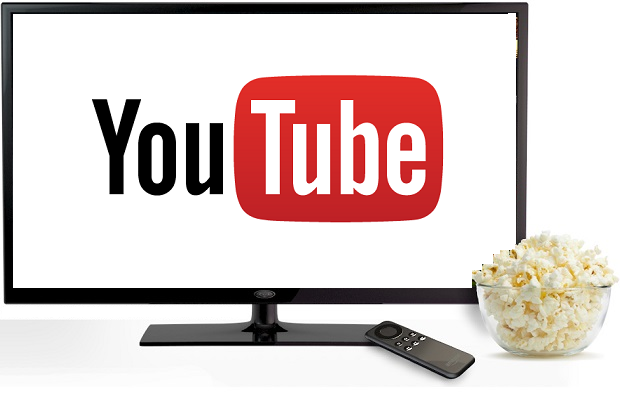 According to Google, users watch over 180 million hours of YouTube on TV screens every day, for this reason, on October 16th of last year, they introduced the TV screens device type in Google Ads and Display & Video 360. This means that as marketers, you are now able to tailor your campaigns for connected TVs, and monitor reports on ads that run on TV screens to determine their impact. Impr. (Absolute Top) %: This illustrates the percent of your ad impressions shown as the very first ad above the organic search results. Impr. (Top) %: This illustrates the percent of your ad impressions shown anywhere above the organic search results. Search (Absolute Top) IS: This illustrates the impressions you’ve received in the absolute top location (the very first ad above the organic search results) divided by the estimated number of impressions you were eligible to receive in the top location. Search (Top) IS: This illustrates the impressions you’ve received in the top location (anywhere above the organic search results) compared to the estimated number of impressions you were eligible to receive in the top location. 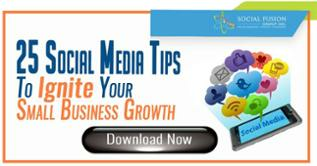 If you rely on using your phone a lot for business than this update might find useful. Calls from your location extensions can be counted as conversions once you enable account-level call reporting. The default length of a call that will be counted as a conversion is 60 seconds, however, this value can be changed at any time based on your business goals. 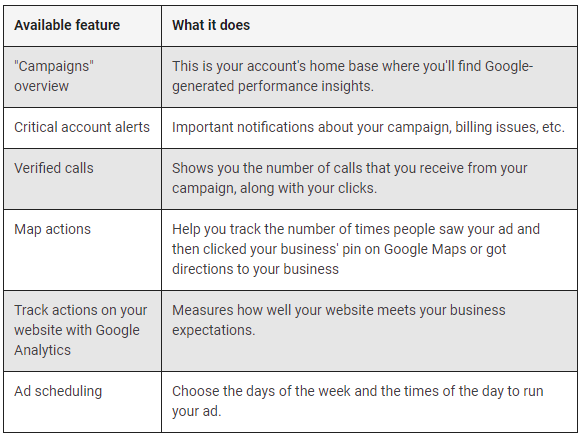 By monitoring which calls last over a certain duration, you might be able to more precisely pinpoint which campaigns, ads, and keywords are driving the highest quality interactions with your customers. Since January of last year, Google Analytics has made it possible for you to view lifetime value and dimensions for every year (based on users' lifetime cookie), conversion probability, and CP report. Following the heightened date protection trend of 2018, Google Analytics introduced an adjustable data retention control feature. An announcement by Google states that the Google Analytics Data Retention controls will give you the ability to set the amount of time before user-level and event-level data stored by Google Analytics is automatically deleted from Analytics’ servers”, announced Google. In late 2018, we came across a really interesting book written by Benjamin Mangold. If you didn't know, Benjamin has worked closely with Google since 2007, and during 2010 he became the first trainer certified by Google themselves for both Google Analytics and AdWords. From there, he took the knowledge he had gained and wrote a very detailed and insightful book for those interested in learning more about these tools. 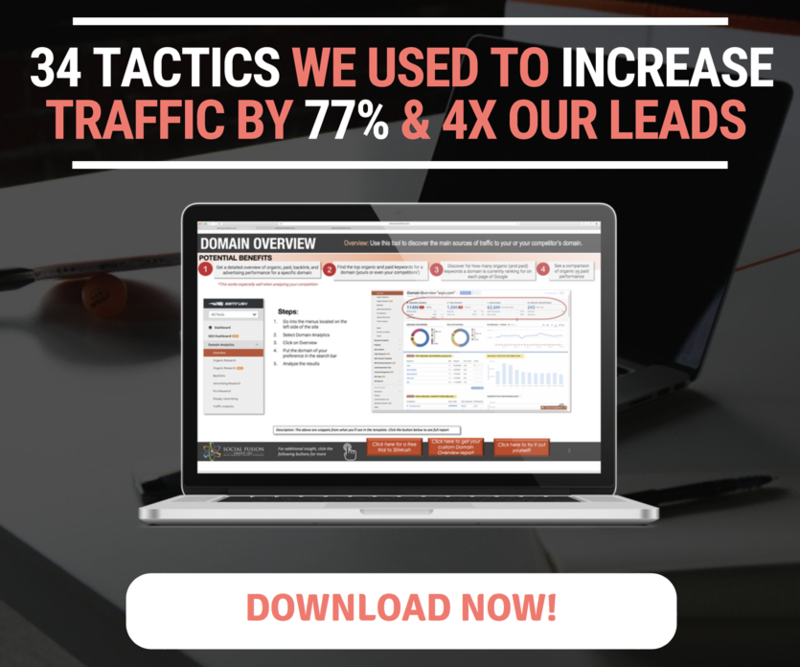 Actionable tactics for utilizing Google AdWords and Google Analytics to their fullest. Insight on how to create, manage, and optimize for search and display based campaigns. Details on how to properly use digital analytics to measure and improve your website and marketing performance. 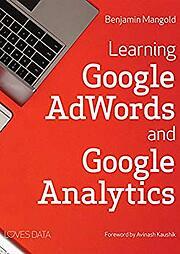 If you are serious about using Google to its fullest for your 2019 campaigns, this just might be the book you have been looking for. You can get more details here. And there you have it, the most important changes from 2018, that marketers need to know in order to succeed in 2019. Are there any we missed? Is there anything you would like us to dig deeper into? Let us know! And as always, feel free to join our Facebook Group for updates and community discussions.